A dream vacation in San Francisco will take you on a roller coaster ride of never ending fun. The notoriously steep streets and unique cable car ride, let you explore this sophisticated culturally diverse city. With a unique mix of hippies on one hand and techs on the other, SFO, welcomes you to explore its best tourists attractions, fun filled nightlife, exceptional cuisine and offers some choice of luxurious hotels to stay. Explore our best guide for San Francisco for travel enthusiast, shop alcoholics, nightlife buffs and more. See the attraction galore in San Francisco- Explore this city like never before- Alcatraz, Golden Gate, Fisherman’s Wharf, Cable Cars, De Young Fine Arts Museum and the list is endless! Pamper yourself in SFO's Best Hotels -San Francisco offers you five star luxury hotels as well as budget hotels. Immerse yourself in the hotel's incredible amenities and spoil yourself. San Francisco is a foodie's paradise -If you're a foodie, you ought to be in SFO! Explore the city's cosmopolitan dining places, ranging from the modest yet tasty eating stalls to the finest haute cuisine restaurants. SFO, the ultimate shopping destination -San Francisco - The shopping haven! 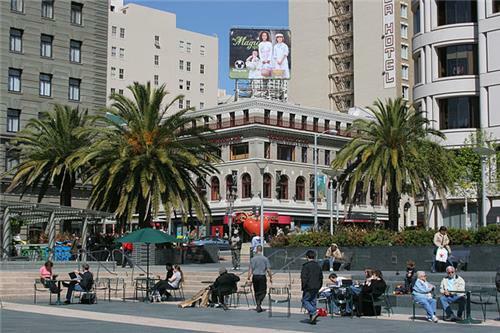 Union Square or Fillmore Street, each welcomes you with its unique collections and your shopping list will be endless. Sink and soak in the Beaches of SFO -Sink, bathe or surf in the city's best beaches. Gear up for a picnic or late night parties at Baker Beach. And, for family and children, China Beach is the one.